Burn calories by turning your Thanksgiving prep into a pre-dinner workout. Anyone who's ever hoisted a turkey out of the oven or chopped countless veggies for Thanksgiving dinner knows that preparing the turkey-day menu can be hard work. We wanted to find out how that hard work translates into calories burned. 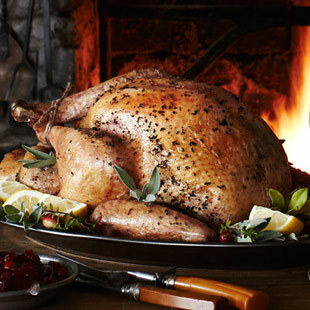 So we used the Mayo Clinic's research on working metabolic rates to estimate how much you burn while you're cooking a traditional Thanksgiving dinner menu. Here's what we found. (Bonus savings: cook EatingWell's healthier menu and save 1,724 calories compared to traditional Thanksgiving dinner!) Download a FREE 5-Day 1,500-Calorie Meal Plan to Lose Weight! Bonus: Save 76 more calories with EatingWell’s healthier Sage-Rubbed Roast Turkey with Lemon-Bay Gravy recipe (pictured left). Bonus: Save 259 more calories with EatingWell’s healthier Two-Toned Mashed Potatoes recipe (pictured left). Bonus: Save 259 more calories with EatingWell’s healthier Sweet & Sour Green Beans recipe (pictured left). Bonus: Save 375 more calories with EatingWell’s healthier Wild Rice Stuffing with Apple & Sausage recipe (pictured left). Bonus: Save 339 more calories with EatingWell’s healthier Savory Corn Pudding recipe (pictured left). Bonus: Save 6 more calories with EatingWell’s healthier Cranberry Sauce with Star Anise recipe (pictured left). Bonus: Save 410 more calories with EatingWell’s healthier Pumpkin-Chocolate Torte with Pumpkin Whipped Cream recipe (pictured left). Download a FREE Thanksgiving Side Dish Recipe Cookbook!